As a presidential candidate, Donald Trump frequently attacked Goldman Sachs, casting the powerful investment bank as part of a global conspiracy of shadowy interests that are ripping off America. 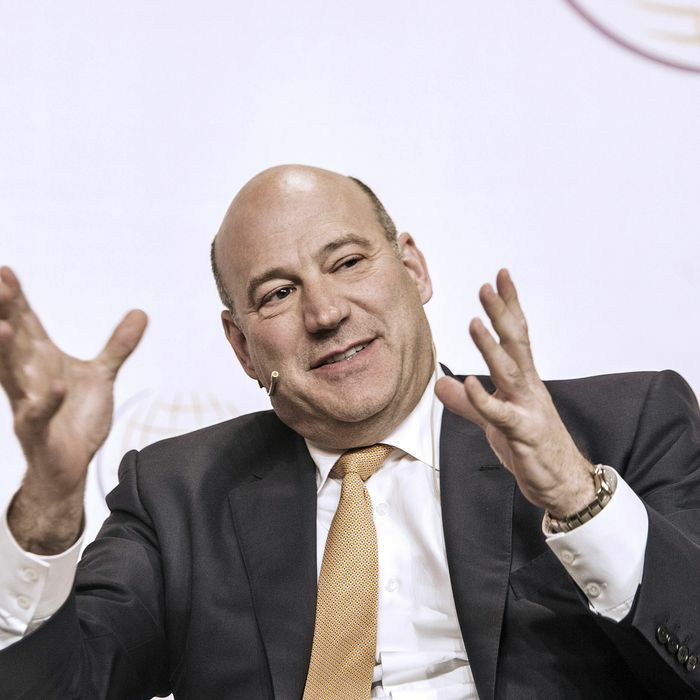 As president-elect, Trump announced he was appointing Goldman president and COO Gary Cohn to lead the National Economic Council, the influential West Wing office that helps the president set economic policy. Since then, Cohn’s power in Trumpworld has rapidly increased. Several sources connected to the Trump transition team describe Cohn as an influential voice inside the emerging administration. Cohn, one source said, has “walk-in” privileges that allow him to pop into Trump’s office whenever he wants. “Gary is brash; he has no trouble interrupting Trump,” the source, who has attended meetings with both men, explained. Trump has tasked Cohn with a wide array of responsibilities, including recommending candidates to head the Securities Exchange Commission, developing a strategy to repeal Obamacare, and crafting plans for new infrastructure spending and tax reform, sources say. Cohn is one of the three early hires by Trump who worked at Goldman, and he’s by far the most accomplished among them on Wall Street. “Trump loves having Goldman guys around. The bank wouldn’t touch Trump, and now they’re working for him,” one Republican close to the transition told me, referring to the bank’s unwillingness to lend to Trump businesses. While both Treasury secretary nominee Steve Mnuchin and White House strategist Steve Bannon have Goldman on their résumés, neither rose close to Cohn’s level inside the company. “Trump sees Mnuchin as a hedge-fund guy,” one source told me. Cohn, 56, joined Goldman in 1990, the year Bannon departed, and rose through the ranks to become Lloyd Blankfein’s deputy (his departure scrambles succession planning at the bank). Jared Kushner, Trump’s son-in-law, is particularly close with Cohn. One former Goldman executive told me that if Kushner can’t take a West Wing post for legal reasons, Cohn will be his proxy inside the administration. A Republican close to the transition even speculated that Cohn could be a potential chief of staff if Reince Priebus doesn’t work out. But conservatives around Trump are skeptical of Cohn, who’s donated to both Republicans and Democrats. According to sources, Cohn has upset right-wing members of the White House economic team by attempting to block the appointment of CNBC commentator and avowed supply-sider Larry Kudlow to chair the Council of Economic Advisers, based on Cohn’s concerns that Kudlow is too ideological. The former executive said Cohn is “definitely not a conservative” and will enthusiastically embrace infrastructure and other government spending. Cohn did not respond to a request for comment. Members of Trump’s team also worry that Cohn represents the politics and culture of the Davos set — the clique of global superrich and superelite who attend the annual Swiss conference — in contrast to the populist and nationalist values the president-elect preached on the campaign trail. Preventing Cohn from exerting too much influence on Trump seems to have become a goal for Bannon, says a source. “He’s a huge Democrat and knows zero about politics,” a person close to Bannon told me. Correction: This story originally reported that Bannon and Davos founder Klaus Schwab argued at a meeting. That was inaccurate.